What Cardinals fan wouldn't enjoy this for a gift. Includes a handcrafted wooden crate with official Cardinals Clubhouse sign on the front. 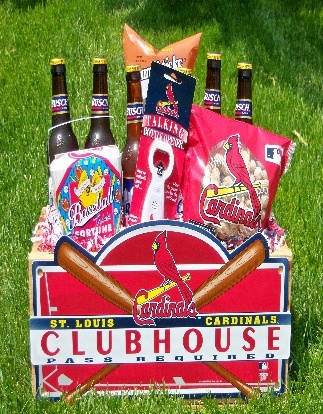 Crate comes loaded with 6 of your choice of beers, bag of pretzels, peanuts, baseball trivia cookies, and a talking bottle opener. Wow!